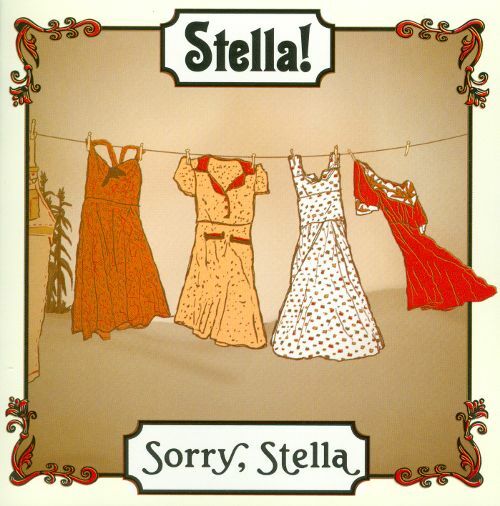 In April 2009 Detroit songwriter Jo Serrapere (formerly of the band Uncle Earl) approached Jen about forming an all-female American Roots band CALLED “Stella!” (NAMED AFTER jO’S RECENTLY BORN DAUGHTER). featuring THE combined songwriting efforts of Sygit and Serrapere, Stella! 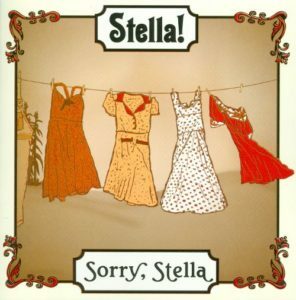 TRAVELED to New York City AND under the patronage of Dave Marsh (sPRINGSTEEN BIOGRAPHER, Rock Critic and C0-founder of Creem magazine), recorded THEIR DEBUT ALBUM Sorry, Stella oVER THE COURSE OF two days AT Valvetone sTUDIOs IN BROOKLYN, ny with gRAMMY WINNING ENGINEER dAMON WHITTEMORE. produced by Detroiter Adam Druckman and New yorker Larry Eagle (percussionist for Bruce Springsteen’s Seeger Sessions recording and tour, the Andy Statman Trio) AND FEATURING THE TALENTS OF aUSTIN Fiddler Tamineh Gueramy, dETROIT bassist Katie Grace and ny pedal steel player/guitarist Skip Krevens (lAURA CANTRELL, BROADWAY pRODUCTIONS) Sorry, Stella was released in 2011 to much praise from critics. since it’s formation in 2009, Stella! has gone through several line-up changes. 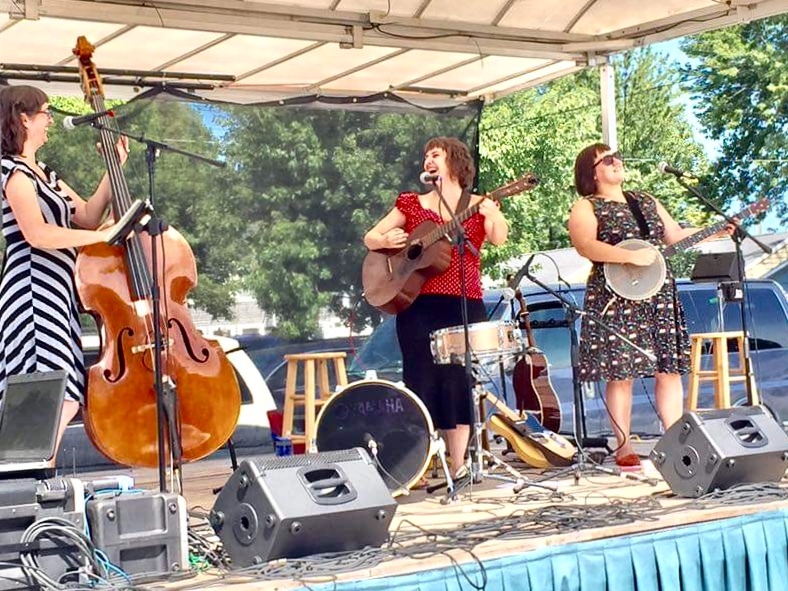 some former members of the band include Tamineh Gueramy (fiddle), katie grace (upright bass), diana ladio (Fiddle), laura bates (upright bass) and “honorary girl” Drew howard (pedal steel). 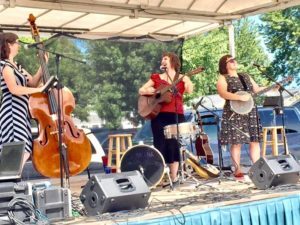 The current line-up of the band is a trio featuring Jo Serrapere on vocals, acoustic guitar and percussion, Jen Sygit on vocals, banjo, electric & Acoustic guitar & Julianna Wilson on vocals and UPRIGHT bass. jUlianna is also a member of the Lansing based swing band The Springtails and brings some of her original material to the band.